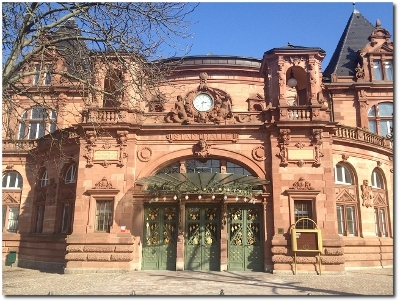 The conference takes place in the Heidelberg City Convention Hall located on the banks of the Neckar river being the most distinctive landmark of the Old Town district. Built in a late historicist style, it is an internationally renowned location for successful congresses and festivals. 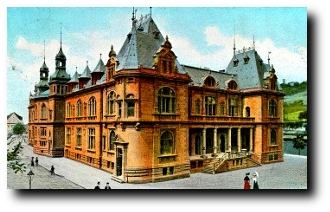 The building was designed by the Heidelberg architects Jakob Henkenhaf and Friedrich Ebert and was completed in 1903. 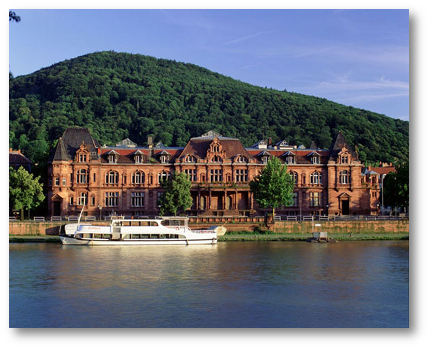 The architectural style, following the tradition of the "German Renaissance", is also to be found at the Friedrich Building of the Heidelberg Castle. The south facade facing the "Untere Neckarstrasse" depicts portraits of university professors and famous artists, i.e. Karl Adolf von Vangerow, Johannes Caspar Bluntschli, Karl Josef Anton Mittermaier, Adolf Kussmann, Albert Mays, Karl Gottfried Nadler and the composers Richard Wagner, Wolfgang Amadeus Mozart, Johann Sebastian Bach, Franz Liszt and Ludwig van Beethoven. The cultural and academic exchange of knowledge looks back to a long tradition in Heidelberg, a tradition that is continued in the City Convention Center. Versatile in its functions, it is used for seminars, conventions, concerts, gala dinners, balls and other cultural and social events.